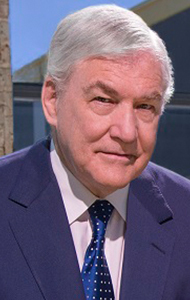 CONRAD BLACK is a financier and author and columnist in a large number of publications in Canada, the US, and the UK, including the National Post and National Review Online (New York). He is the author of biographies of Maurice Duplessis, Franklin D. Roosevelt, and Richard M. Nixon, a strategic history of the United States (Flight of the Eagle), and Rise to Greatness, the History of Canada from the Vikings to the Present. His most recent book is a collection of his columns and essays titled Backward Glances, just published by Random House-McCLelland & Stewart. He was the publisher of the London (UK) Telegraph newspapers and Spectator from 1987 to 2004 and controlled many other newspapers including the Chicago Sun-Times, the Jerusalem Post, and the National Post, which he founded. He is honorary chairman of Conrad Black Capital Corporation and has been a member of the British House of Lords as Lord Black of Crossharbour since 2001, and is a Knight of the Holy See. If you’re looking for unparalleled insight into the Canadian economy and its future prospects, look no further than Don Drummond, the retired senior vice president and chief economist of TD Financial Group, and current Stauffer-Dunning Fellow and Distinguished Visiting Scholar in the School of Policy Studies at Queens University. Speaking to groups about the Canadian economy and its prospects and on economic and policy issues, his unparallelled insights are not to be missed. At TD, Don led the company in analyzing and forecasting economic performance in Canada and abroad. During the course of his career, Drummond acted at Finance Canada as Assistant Deputy Minister, Fiscal Policy and Economic Analysis; Assistant Deputy Minister, Tax Policy and Legislation; and, most recently, Associate Deputy Minister, where he handled economic analysis, fiscal policy, tax policy, social policy and federal-provincial relations, as well as co-ordinated the planning of the annual federal budgets. 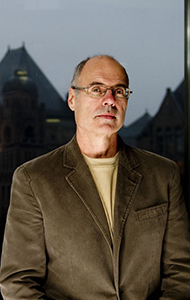 He was also the Chair of the Commission on the Reform of Ontario’s Public Services in 2012. Born and raised in Victoria, British Columbia, Drummond graduated from the University of Victoria. He subsequently received his master’s degree in economics from Queen’s University. A favourite on Royal Canadian Air Farce, Jessica Holmes has brought the house down opening for giants such as Ellen DeGeneres, Russell Peters, Jerry Seinfeld, and Oprah Winfrey. Her hilarious take on life’s challenges as well as her unique knack for skewering celebrities (including Nikki Minaj and Celine Dion) have audiences in stitches. Her customized emcee and entertainment presentations — which include motivation and wellness — are always a hit. As a performer, Jessica’s productions have garnered her a “Platinum Award” at The Worldfest International Film Festival; and nominations for Gemini Awards and the prestigious Tim Sims Scholarship. She has appeared at Just For Laughs and Second City. She is also known for her work in films, including Welcome to Mooseport, Citizen Duane, and Moonpoint. She continues to perform comedy across the country, with a recent appearance on CBC’s Winnipeg Comedy Festival television special. And of course, every year you can see her new characters on the Air Farce NYE special. Jessica is devoted to helping others live well. In her wellness keynotes, she mixes humour with her message about the importance of de-stressing and laughing at life’s shortcomings, and speaks with intelligence and insight on her own experiences of dealing with depression, finding work-life balance, and re-igniting passion. In 2018 she joined the Bell Let’s Talk campaign as one of their celebrity ambassadors. Jessica’s autobiographical book, I Love Your Laugh, was published in 2010, and she recently completed her second book, Depression: The Comedy. She lives in Toronto with her husband, two children, and a gaggle of pets. Les Stroud has logged more than a million miles around the globe—from the lush jungles of Papua New Guinea and the sun-scorched sands of the Kalahari, to the harsh cold of the Canadian Arctic—shooting his television series Survivorman. In his fascinating keynotes, brought to life with rich multimedia presentations and music, Stroud shares his extraordinary survival stories along with the stories those he has met during his travels, and motivates audiences to push beyond comfort zones to achieve dreams. Stroud is the only producer in the history of television to produce an internationally broadcast series entirely written, videotaped, and hosted alone. 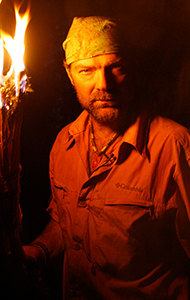 Since its inception, Survivorman has been the highest rated show in the history of both OLN Canada and the Science Channel US. In the media, Stroud has appeared on The Late Late Show with Craig Ferguson, The Ellen DeGeneres Show, MTV Live, The View, The Hour, and Larry King Live. Stroud has appeared in and/or produced numerous television specials including hosting the 20th Anniversary of Discovery Channel’s Shark Week; I Shouldn’t Be Alive: The Science of Survival; Surviving Sharks; Expedition Everest; Surviving Urban Disasters; After the Experiment; Deadly Waters; and Off the Grid with Les Stroud. In 2010, he produced and hosted the hit kids TV series Survive This and Survive This 2. He is also the producer and host of NHL celebrity survival series Survival Challenge. His latest series, Les Stroud: Beyond Survival, airs on Discovery Channel International, OLN and Rogers Canada. Stroud is the author of the bestselling books Survive, Will To Live, and Beyond Survivorman. He is also an accomplished musician, with many albums to his credit. A proud member of the prestigious Explorers Club, Stroud received Fellow (highest rank) of the Royal Canadian Geographic Society. He has also received the Distinguished Alumni award, and was nominated for the Premieres award for excellence for work in his field. He contributes to dozens of charities and benefits, and is an advanced survival trainer for the Canadian Military Armed Forces. Today’s fast-paced business environment requires leaders who can create impact and influence others with sound communication practices. 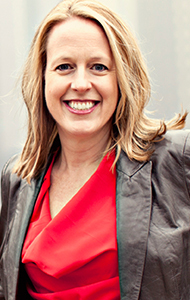 Stacey Hanke has trained over 15,000 executives to influence, persuade, sell, or simply effectively communicate face-to-face with a clear message. Stacey has delivered hundreds of presentations for clients such as Coca-Cola, FedEx, Kohl’s, the United States Army, General Mills, and Blue Cross. In addition to her impressive client list, she has been the emcee for TEDx and has inspired thousands as a featured guest on media outlets including The New York Times, SmartMoney magazine, Business Week, Lifetime Network, and many others. The co-author of Yes You Can! Everything You Need From A To Z To Influence Others To Take Action, Stacey is also the author of the new book, Influence Redefined: Be the Leader You Were Meant to Be, Monday to Monday.